Our little flock of feathered friends consists of 3 Buffs, 4 Americaunas, 1: Rock Partridge, Rhode Island Red, Silver Laced Wyandotte, Barred Rock, Black Astrolorpe. We grow a little herb garden next to the coop yard, and try to use the mulch to fertilize as much as we can. 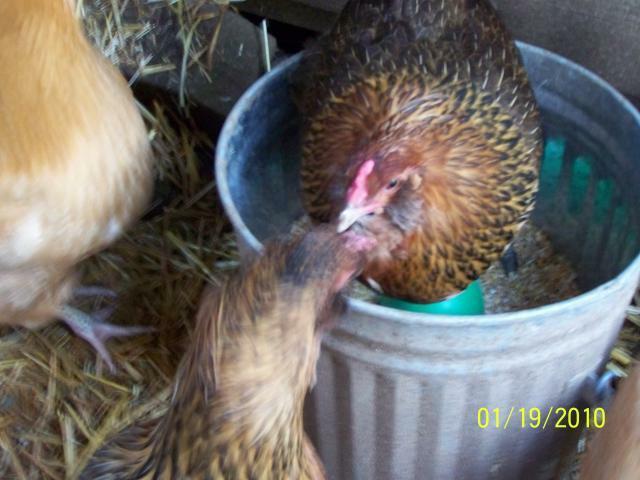 Even though we're far from the efficient organic/subsistent farming ideal, we love how our pets make us terrific breakfasts with their fabulous array of eggs! 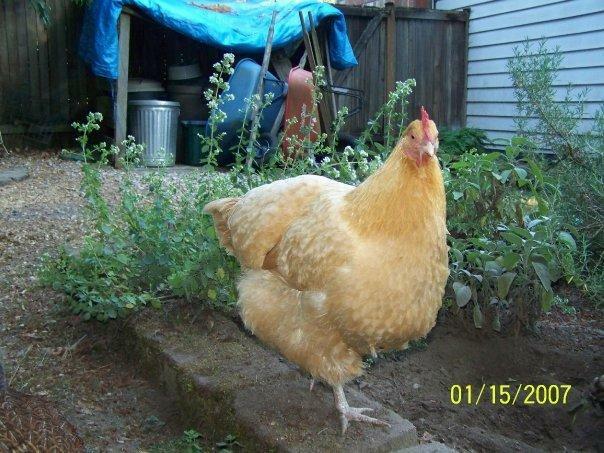 Here is Phoebe, one of our 3 Buff Orpingtons, clucking around our herb garden. Peaches, one of our 4 Americaunas, likes to hop into the scratch bin every morning - making sure she gets her fair share of treats! 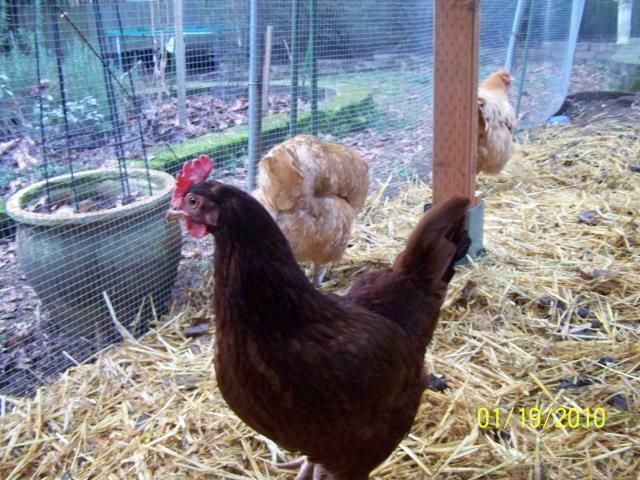 Rhode Island Red Ruby looks through the fence where "the grass is always greener...."!